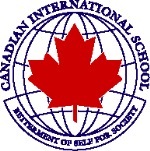 The distinctive Canadian International School Bangladesh (CISB) has just re-joined Search Associates. 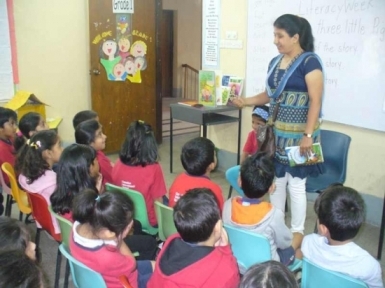 CISB, accredited by the Manitoba Department of Education, is the only K-12 school in Bangladesh offering the Canadian curriculum. Established in 2005, CISB is registered under the Ministry of Education of Bangladesh and is a member of the Dhaka International School Association (DISA). CISB collaborates with The Association of International Schools of India (TAISI) to provide inter-school sports activities, as well as professional development opportunities for teachers. Graduates of the school are eligible to apply to universities in North America, the European Union, the U.K., Australia, and New Zealand, as well as universities within Bangladesh. CISB is located in the capital city Dhaka, in a posh residential/diplomatic zone, where the majority of the expatriate community lives. The teaching staff of 32 includes six from North America and 20 from Bangladesh. One hundred students of 40 nationalities attend CISB, with 25% from Bangladesh and 35% from North America and the U.K. In addition to a strong academic program using inquiry-based learning, the school provides students with ample choice for after-school activities. Extracurricular activities as diverse as cooking, dance, basketball, drama, math, glass painting, French, computers, and many more, are offered in six-week sessions. Additionally, a certified, on-site piano teacher offers private lessons for a reasonable price at appropriate times of the day. Periodically, the physical education teacher organizes intramural matches of football, handball, basketball, and floor hockey. In the warmer months, swimming lessons for Grades 1–10 take place at one of the local clubs nearby. CISB will consider hiring single and married teachers, with or without dependents, including married couples with a non-teaching spouse, for whom there are local employment opportunities. Single teachers may be accompanied by one child and married couples by two. Also welcome to apply: exceptional, newly certified teachers, teachers certified in non-English speaking countries, and interns without dependents. Candidates must hold an academic degree in the subject in which they will be teaching. It is important to note that the Bangladeshi government will only issue work visas to certified teachers under the age of 65. CISB's benefits include a moving allowance and furnished housing, with a minimum of two bedrooms and two bathrooms, near the school. An annual round-trip ticket to one's country of origin is also included. The tuition benefit is 100% for the first child and 50% for the second child. Worldwide health insurance (excluding the U.S.) and emergency evacuation is fully covered. The school provides professional development as well as transportation to and from the school each day. With these benefits, teachers have a good opportunity for savings. To gain access to Canadian International School Bangladesh's full profile on the Search Associates database, including a list of all open positions, candidates can apply for membership by clicking here. Candidates already registered can easily access the school profile directly through their dashboards.